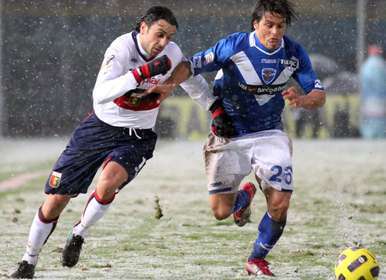 Good football was not possible in the snow of Brescia. In the first half both teams had some real chances to score. Giandomenico Mesto saved us once by kicking the ball away just before the goal-line. In the second half both teams wrestled against the snow which coloured the field completely white. The draw was the most honest result to both teams, unfortunately for the fans in the stadium it was a draw without goals. The last weeks Genoa only had 3 strikers available to play. Tomorrow in Brescia our coach Davide Ballardini for the first time can choose out of 6 strikers: besides the “usual” Destro, Rudolf and Toni also Jankovic, Palacio and Palladino. Let’s hope that our strikers immediately will score some goals tomorrow. 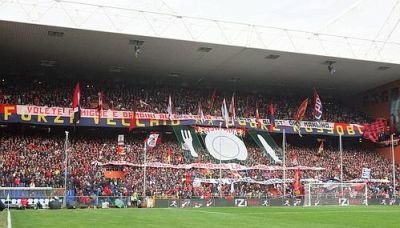 Unless the unusual Italian time of 12.30 hours 30.000 fans came to Luigi Ferraris to see the match between Genoa and Juventus. After Genoa missed the first big chance it was our goalkeeper Eduardo who headed the ball very unlucky in his own goal: 0-1. For a few minutes Genoa was out of the match and Krasic immediately took his chance: 0-2. As every Italian topteam from this moment Juventus only defended the advantage. Genoa hit twice the crossbar by Criscito before haltime and Kharje after the tea, but the score did not change anymore: Genoa-Juventus: 0-2. 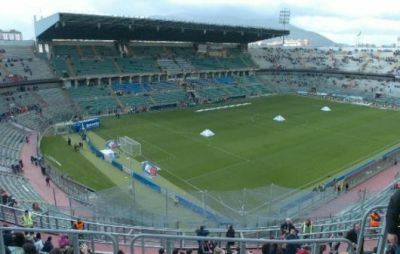 Wednesday 24th November Genoa beat Vicenza (Serie B) in the Coppa Italia. Just as in the previous round against Grosseto it was Luca Toni who scored the equalizer just before the 90th minute and 2-1 immedialtely after the start of the extra time. A few minutes later also Mattia Destro scored 3-1 and the game was over. In the next round Genoa plays against Inter. After the match against Inter all Genoa-fans had doubts about our new goalkeeper Eduardo of Sporting Braga. Mr. Preziosi spend over € 4 million to buy the National goalkeeper of Portugal who played a perfect Worldcup. Since yesterday we know that the Worldcup wasn’t an accident. Eduardo surely is a great goalkeeper! Only he kept Genoa in the match during the first 83 minutes till youngster Andrea Ranocchia headed a corner of Veloso behind the goalkeeper of Cagliari: 0-1. In the last minutes Cagliari tried to score the equalizer but with Eduardo they knew it was impossible. The second victory in a row of our new coach Davide Ballardini, Juve is the next victim Sunday at 12.30 hours. 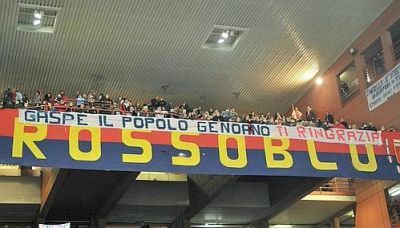 Tonight Genoa has beaten Bologna by 1-0. The only goal was scored in the 81st minute by Omar Milanetto who returned in the team after his squalification against Palermo. In the stadium were lot of flags to thank our fired but of course still loved coach Mr. Gian Piero Gasperini, who brought us back in Serie A and Europe. Our new coach Davide Ballardini had playmakers Veloso and Milanetto back in the line-up, while the 3rd playmaker Kharja was on the bench. Till finally the goal of Milanetto arrived in the 81st minute there was only 1 team in the field: Genoa. Many changes were missed and sometimes we were also unlucky for instance with the free-kick of Veloso on the crossbar. After the goal of Omar also Bologna wanted to attack and tried to score the equalizer but luckely they didn’t succeed. With 14 points in 11 matches we are back in the middle of the standings. Thanks Mr. Gasperini, great human + coach ! 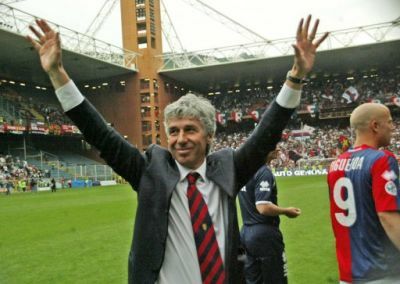 Today our presdient Mr. Preziosi has fired our loved coach since the summer of 2006: Gian Piero Gasperini. The defeat in Palermo (1-0) and especially the first half in which the team played without passion and agression leaded mr. Preziosi to this hard decision. Gasperson will always be rembered as the coach that brought us in Serie A in 2007, let us play in Europa League after 17 years and who did win 3 derbies in a row. Only a few months ago Gasp was wanted by almost all topteams in Italy, now he is substituted by Davide Ballardini, the experienced ex-coach of teams like Palermo and Lazio. 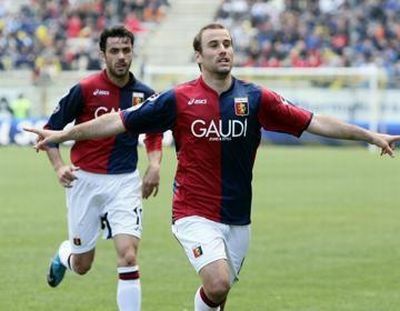 In 2 days Genoa plays in Luigi Ferraris against Bologna, which has just like us 11 points in 10 matches. Everybody knows that we have to win this match to avoid a revolution.